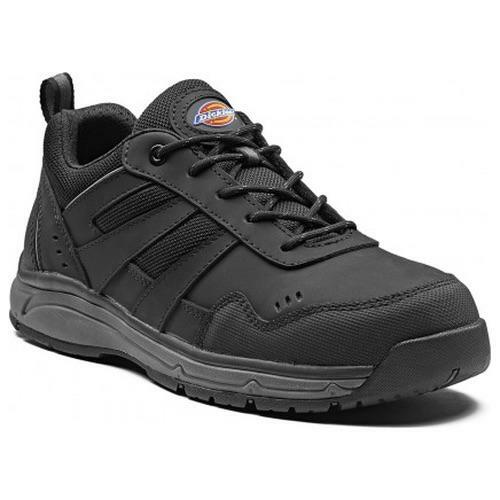 The Dickies Emerson safety trainers feature a composite toe cap and a non-metallic anti-penetration underfoot plate, providing metal free safety trainer. Subtle styling means the Emerson trainer can been worn in and out of work. Featuring a S3 SRC rated slip resistant sole, the Emerson trainer also boasts and anti scuff toe, is anti static and water resistant.